TowerFall Ascension, one of the forerunners of the couch multiplayer renaissance, also contains a slightly lesser known two player co-op "Quest" mode. From my experience with the mode, you and a friend alternate between killing monsters and wondering how your compatriot managed to lodge an arrow directly into your skull. Having fully completed the campaign, I can say with some authority that it is a simultaneously fantastic and infuriating addition to the game. The downside, of course, was that you could only experience it with one friend at a time. Thanks to the "Dark World" expansion, which hits PC and PS4 virtual shelves today, that is no longer the case! Now, any combination of you and three friends can cycle through the aforementioned scenarios in the game’s new four player co-op mode. 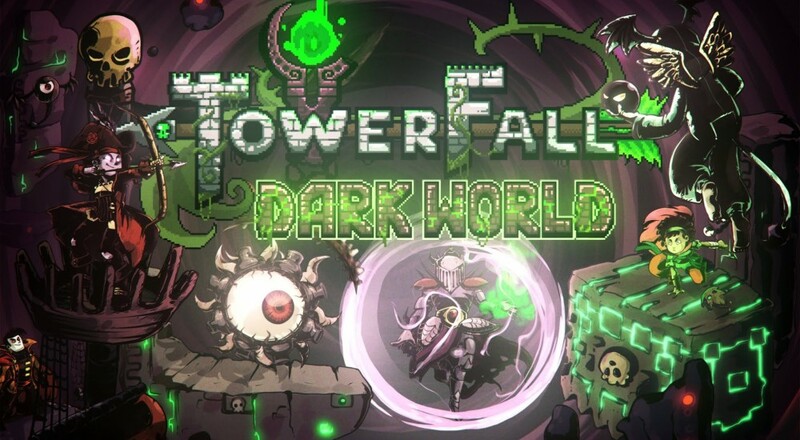 The co-op player count increase isn’t the only thing coming in "Dark World", though, as the $9.99 expansion pack also adds 4 new level sets, 10 archers, procedurally generated levels, and all kinds of new power-ups. Now, when you and your bow string-happy pals decide everyone else is to blame for the fact that you’re forty-five attempts into a boss fight, the four of you can settle your differences using way more types of arrows on an infinite supply of levels. The announcement also gave a glimmer of hope to Playstation Vita owners who are patiently (or not) waiting a port of the game. Over the course of the expansion pack's announcement, developer Matt Thorson has also mentioned version of the game is still in the works and will hopefully be out soon. With any luck, your fellow commuters will be privy to your screams of, "I can't believe you jumped on my head!" in the near future. Page created in 0.7150 seconds.